Love plant-based protein? This variety pack includes an assortment of our top-selling, high-protein flavors. Each Vegan Protein Bar Variety Pack contains 12 of our top-selling, high-protein bars including 4 Peanut Butter Chocolate Chip, 1 Coconut + Almond Butter + Chocolate Chips, 1 Cashew Caramel, 1 Banana + Almond Butter, 1 Sunflower Butter + Chocolate, 1 Peanut Butter, 1 Blueberry + Cashew Butter, 1 Dark Chocolate + Almonds and 1 Mocha Chocolate Chip. Love them!! They're so deliciously satisfying - So glad I discovered them, I only wish they had a subscription service for automatic reordering/delivery. Rachelle-so glad that you are enjoying your Vegan Protein Variety pack. Good News! It is available for reorder with our Subscribe and Save option. You can choose the frequency it is shipped to you from every two weeks-up to every three months. Please check the website, or contact our customer care for assistance! Substantial organic bars with great taste. I like that GoMacro limits to fewer ingredients so you can actually taste what is in there. My favorite bars! These keep me full for hours in between classes and work. My favorite snack!! I especially love the blueberry cashew and banana almond butter ! By far the best protein bar I have discovered - and I have sampled a wide range! "Best" in terms of vegan protein options, best chewy texture, best ingredients, and best flavor. My fave is the Blistful Daybreak (blueberry cashew)! GoMacro also offers the best coupons! Love these bars...all of them!! Love that they have protein and are packed with clean ingredients. Thank you!! These bars are great! A really good post workout snack. I have tried all the flavors and like them all except for maybe the cashew one. It was ok just not as good as the other varieties. By far they are the best protein bar on the market! Love every flavor, but especially the Protein Pleasure. Always chewy, almost like a chocolate chip cookie. Always the perfect way to start my morning! Hi Erin, thanks for taking the time to let us know your Vegan Protein Bar Sampler was less than 100% satisfactory. A member of our customer care team will be reaching out to make this right! These bars are absolutely delicious! The bars are chewy and flavorful. They are a great snack for on the go. I’m currently switching my dieting up going from no diary and to finally try a protein bar that has the similar texture, a protein bar has with whey in it, but even BETTER! I’m more thrilled about taking on new diet for myself being I love my protein bars as a quick on the go snack!!! Thank you! If I could do a 10 rating I would !!! Love my macro bars. They are flavorful, enjoyable and satisfying. They are one of the best bars around. I am hooked. Love these bars! Great flavors and they keep me full for awhile. These bars are delicious, healthy, and satisfying. They are perfect for when you are on the go or don’t have much time. Love the taste of all of them. Great texture. Ingredients are perfect. It is a great go-to item on the run and at night when I am so hungry that I need something substantial. It holds me well. Some of the tastiest protein bars I have tried and good at keeping me full for a couple of hours. Love these bars. They are so good! A little pricey, but worth it. They pack a punch, they are dense, but delicious. Good, long lasting energy. Great flavor, and you feel great after eating. No regrets here. Delicious and love the fact that the bars are healthy! I love these bars for quick snacks during the day. I heard about these from a friend, and they are so good!! I love the texture and taste of the protein pack. Favorite protein bars ever. Amazing flavors, good texture, not too chewy, not too hard. Great snack. Loved the vegan sampler. Banana was my least favorite. Loved the chewy texture. Very filling. Really enjoyed the blueberry, banana, and peanut butter flavors! The texture is chewy but not unbearable like some chewy foods. The packaging they come in is nice and reusable. These bars are amazing! They have brought me back so many times when I waited to long to eat or was on the road and could not find good food! They are delicious, healthy and the ingredients are easy on the planet! I really enjoy the Vegan variety bars, they taste great and keep me feeling full and full of energy. I always have one in the car or at my desk. Highly recommended. I just got my sampler back and so far I have tried the peanut butter chocolate chip, dark chocolate almond and blueberry + cashew butter bars. I love the taste, the texture, and can’t wait to try the other flavors! These are great for a snack at work! I love the texture and flavor of these. They're really filling so it's perfect for a busy day when I don't have much time to eat! I love having one of these in my purse all the time. All the flavors are so good! 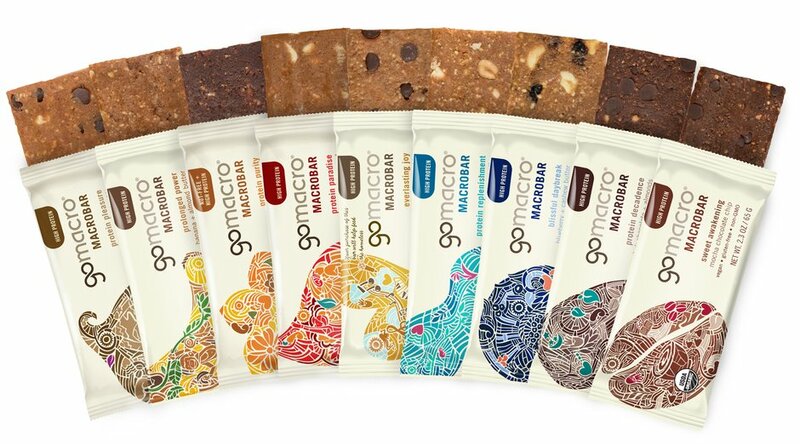 Nothing beats gomacro bars, the flavor, the texture, the clean/natural ingredients and everything this company stands for!!! So thankful I found a vegan protein bar that is sustainably sourced and all whole foods. Can’t rave about them enough. I have yet to find a flavor I don’t like!! I love these bars! The package arrived quickly and are delicious and healthy! I love these bars. I love that they are bigger than most and work great after an intense bike ride or long run. Love that each has a slightly different texture but they are each good in their own way. Definitely higher in sugar than I would prefer, but these are one of the best options on the market! I will order again for sure. i need more NUTRITION INFORMATION! I love these bars!! They are soft & delicious! It also makes it that much better that these bars are everything you could want - certified gluten free, certified vegan, Non GMO, certified C.L.E.A.N. & certified R.A.W. - it doesn't get better than that! I buy the variety pack for work and it's great to keep in my desk drawer for that lull in the day! Something delicious that actually gives me energy is perfect for that 2pm slump! Can't rave about these bars any more that I already have - they are SO good!! I feel like this is the best choice for anyone looking to replace a meal or craving and actually feel satisfied afterwards. These bars are high in protein and taste amazing! I have purchased this variety pack several times and will continue to do so. I really enjoy this high protein sampler pack. This selection includes favorite flavors, all of which are high protein for long lasting energy. It is great to have a variety for grab and go options. I just tried one it was so delish! 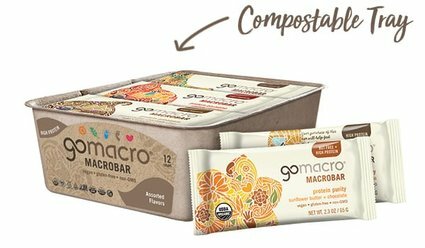 Love love love the fact that gomacro offers a variety pack option!! I first bought the protein variety bars and have just purchased their newest flavors which also come in a variety pack. It's a great way get a taste of all they've come up with. Super chewy, and filling. Great for a on the go snack! Trying to find Date and Sunflower seed butter go macro bars. My favourite! Do you still carry them?